How to tell when a child’s temperature is too high? Is your child’s temperature too high? A high fever does not necessarily mean your child has a serious illness. Fever is a sign of infection which is usually caused by a virus, but it may sometimes be due to bacteria. We treat bacterial infections with antibiotics. Virus infections, which are far more common, do not need antibiotics. Fever is a way in which the body fights infection and your child’s temperature will return to normal when the infection has completely gone. Treat the fever if you feel it is making your child uncomfortable and irritable. 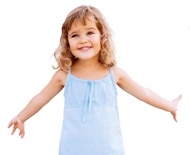 Dress your child in light clothing – a vest and pants or nappy will be enough. Cover them with a cotton sheet if they start to shiver. Give them plenty of fluids to drink, small amounts frequently. Do not worry if your child refuses to eat. “Sponge” your child’s body and head with luke warm water using a face flannel if they are hot but do not let them shiver. your child develops a rash. or for alternative homeopathic treatment.